Beware with Large Files: Use @Streaming! In this blog post of our Retrofit launch sequence we'll show you one of the most requested topics: how to download files. We'll give you all the insight and snippets you need to use Retrofit to download everything, from tiny .png's to large .zip files. If the file you want to download is a static resource (always at the same spot on the server) and on the server your base URL refers to, you can use option 1. As you can see, it looks like a regular Retrofit 2 request declaration. Please note, that we're specifying ResponseBody as return type. You should not use anything else here, otherwise Retrofit will try to parse and convert it, which doesn't make sense when you're downloading a file. Pick what kind of option is useful to you and move on to the next section. If you're confused by the ServiceGenerator.create(), head over to our first blog post to get started. Once we've created the service, we'll make the request just like any other Retrofit call! There is just one thing left, which currently hides behind the function writeResponseBodyToDisk(): writing the file to the disk! Most of it is just regular Java I/O boilerplate. You might need to adjust the first line on where and with what name your file is being saved. When you have done that, you're ready to download files with Retrofit! But we're not completely ready for all files yet. There is one major issue: by default, Retrofit puts the entire server response into memory before processing the result. This works fine for some JSON or XML responses, but large files can easily cause Out-of-Memory-Errors. If your app needs to download even slightly larger files, we strongly recommend reading the next section. The @Streaming declaration doesn't mean you're watching a Netflix file. It means that instead of moving the entire file into memory, it'll pass along the bytes right away. But be careful, if you're adding the @Streaming declaration and continue to use the code above, Android will trigger a android.os.NetworkOnMainThreadException. You can still use the same writeResponseBodyToDisk() method. If you remember the @Streaming declaration and this snippet, you can download even large files with Retrofit efficiently. If you download files in the foreground and they are not small, you might want to inform the user on your actions. Ideally, you would display progress updates how much you've downloaded already. We've another tutorial on how to download files with progress updates. In this tutorial you've seen how to download files with Retrofit efficiently. 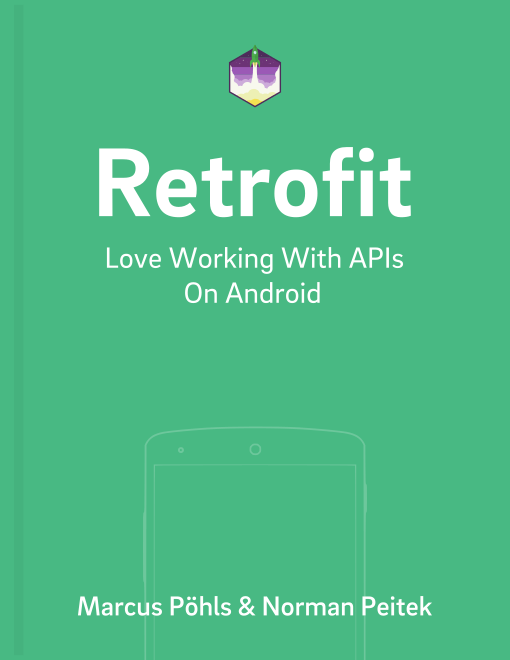 This is everything you need to know to download files with Retrofit. If you've any questions, let us know in the comments or on twitter.